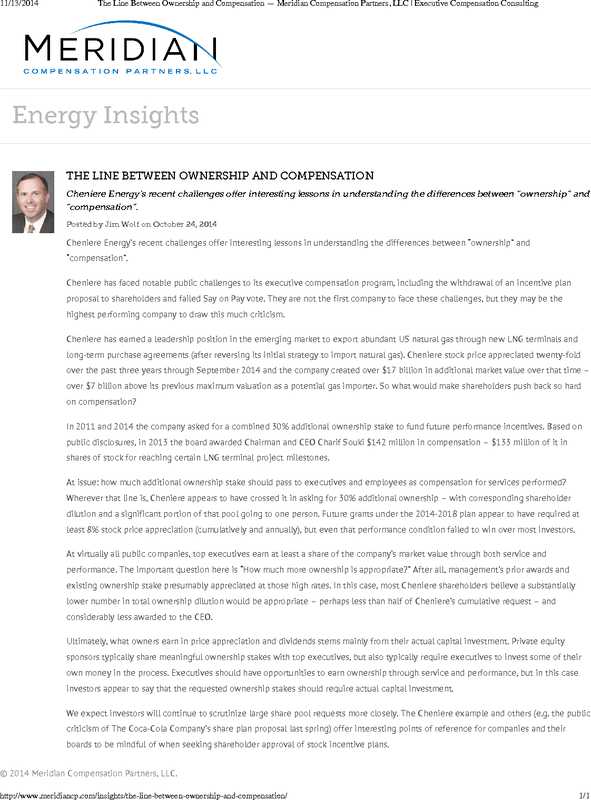 Cheniere Energy’s recent challenges offer interesting lessons in understanding the differences between “ownership” and “compensation”. Cheniere has faced notable public challenges to its executive compensation program, including the withdrawal of an incentive plan proposal to shareholders and failed Say on Pay vote. They are not the first company to face these challenges, but they may be the highest performing company to draw this much criticism. 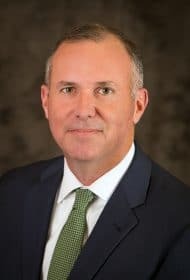 Cheniere has earned a leadership position in the emerging market to export abundant US natural gas through new LNG terminals and long-term purchase agreements (after reversing its initial strategy to import natural gas). Cheniere stock price appreciated twenty-fold over the past three years through September 2014 and the company created over $17 billion in additional market value over that time – over $7 billion above its previous maximum valuation as a potential gas importer. So what would make shareholders push back so hard on compensation? In 2011 and 2014 the company asked for a combined 30% additional ownership stake to fund future performance incentives. Based on public disclosures, in 2013 the board awarded Chairman and CEO Charif Souki $142 million in compensation – $133 million of it in shares of stock for reaching certain LNG terminal project milestones. At issue: how much additional ownership stake should pass to executives and employees as compensation for services performed? Wherever that line is, Cheniere appears to have crossed it in asking for 30% additional ownership – with corresponding shareholder dilution and a significant portion of that pool going to one person. Future grants under the 2014-2018 plan appear to have required at least 8% stock price appreciation (cumulatively and annually), but even that performance condition failed to win over most investors. At virtually all public companies, top executives earn at least a share of the company’s market value through both service and performance. The important question here is “How much more ownership is appropriate?” After all, management’s prior awards and existing ownership stake presumably appreciated at those high rates. In this case, most Cheniere shareholders believe a substantially lower number in total ownership dilution would be appropriate – perhaps less than half of Cheniere’s cumulative request – and considerably less awarded to the CEO. Ultimately, what owners earn in price appreciation and dividends stems mainly from their actual capital investment. Private equity sponsors typically share meaningful ownership stakes with top executives, but also typically require executives to invest some of their own money in the process. Executives should have opportunities to earn ownership through service and performance, but in this case investors appear to say that the requested ownership stakes should require actual capital investment. We expect investors will continue to scrutinize large share pool requests more closely. The Cheniere example and others (e.g. the public criticism of The Coca-Cola Company’s share plan proposal last spring) offer interesting points of reference for companies and their boards to be mindful of when seeking shareholder approval of stock incentive plans.